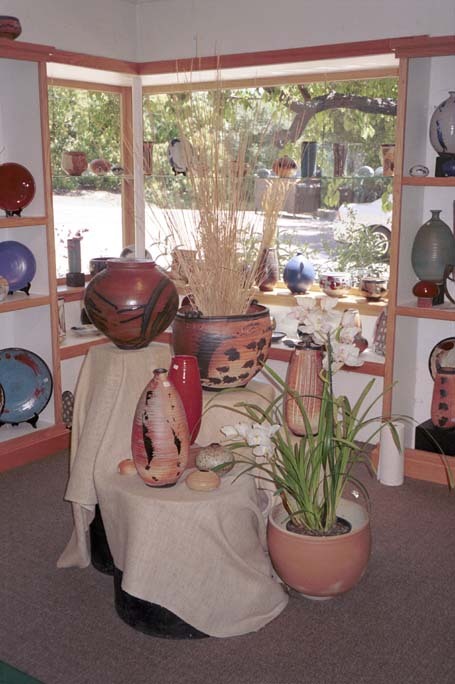 The Pottery is on the left side of McAndrew Road, heading north. The shop and studio are right next to the road, next to a small parking lot. 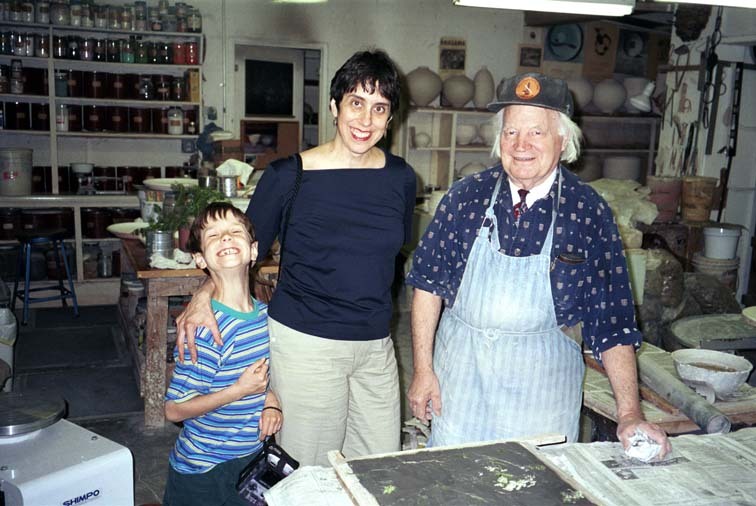 Thomas, Lynne, and Otto Heino in Otto Heino's studio. 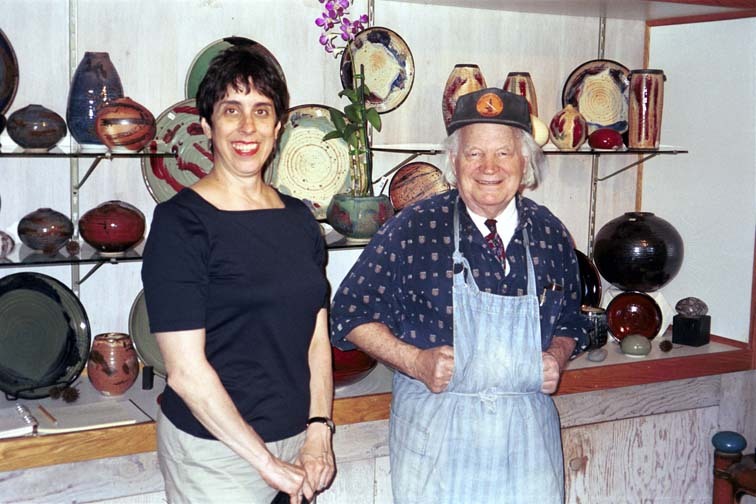 Lynne and Otto Heino in front of a display shelf in the first room of the shop. This is a display area in the front room of the shop.